This course is intended to introduce basic concepts that are necessary to do research such as formulating a research question, developing a questionnaire, and assessing reliability and validity of an instrument, besides study designs. The sample size calculations and journal critique guidelines that are design specific will be covered. The principles of basic biostatistical concepts will also be covered. Participants will be given training in using the EPIDATA software to enter and validate data. Zotero software to organize the research related references will be taught with hands on training. The participants (groups) will be given articles to do journal critique and will also be allocated a topic (research question) to develop a protocol and make presentation. 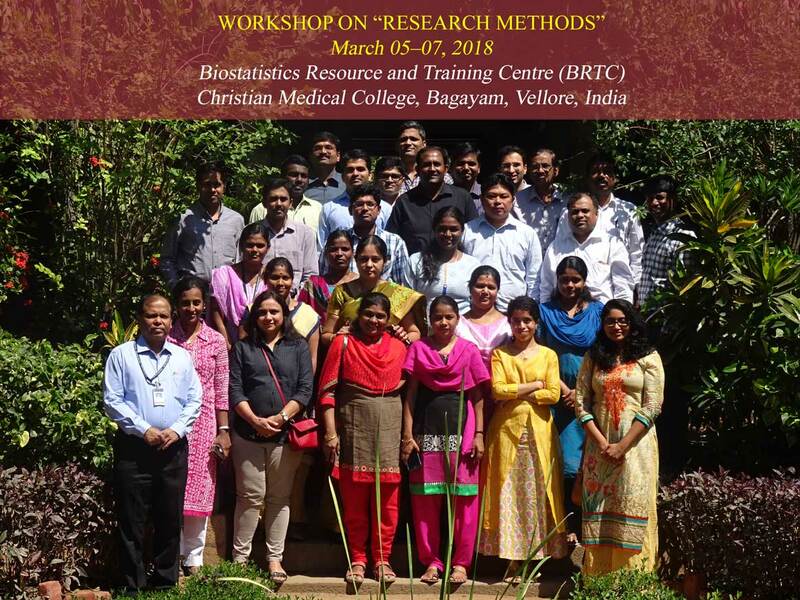 The course is targeted towards researchers of varied profession such as medicine, public health, life science, social science, nursing, epidemiology, biostatistics etc. Medical Faculty, Researchers, Epidemiologist / Scientist, and Statisticians / Biostatistician who are working on research projects in Government / Academic (not for profit) organizations are encouraged to participate. A committee will select the potential participants. The Sample size software nMaster 2.0 will be provided for free of cost. The last date for registration is 19th February 2018. Formulating a Research Question: (Asking and Framing Relevant RQ). Developing a questionnaire /CRF Guidelines. Case series and Case control study design. Cross Sectional Studies / Cohort studies.